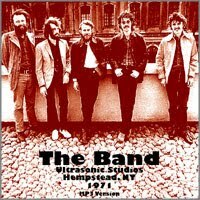 Plochmann Lane: "The Band" bootleg from the '71 rehearsals for the "Rock of Ages" shows in NY. "The Band" bootleg from the '71 rehearsals for the "Rock of Ages" shows in NY. 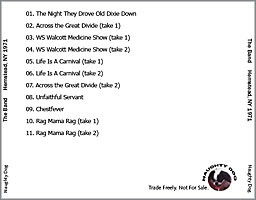 Thanks go out to Dr. Katz & Butch Dener (who sat front row balcony for @ least one of the Rock of Ages shows & was a former The Band (reunited) road mgr) for this cool link. Great story you got here. I'd like to read a bit more concerning that topic. The only thing it would also be great to see on this blog is a few pictures of some gadgets.